Biodiversity protection programmes in Central Africa will receive a €20 million grant from the European Union. Three grant contracts have been signed in this regard. The 18th Meeting of the Parties of the Congo Basin Forest Partnership (CBFP) held in Brussels, the capital of Belgium, at the end of 2018. During the meeting, which aimed to find solutions for the Central Africa forests conservation, the European Union (EU) signed three grant contracts, worth a total of €20 million. The funds will help finance several programmes to protect the forest area of the Congo Basin, which is regarded as the second biggest green lung on the planet, after Amazonia in South America. Therefore, many programmes are devoted to the fight against illegal logging and illicit trade both in the flora and fauna. In 2017 for example, countries of the Congo Basin launched a major project to combat illegal logging. The project is entitled “Acting on the challenges of the Voluntary Partnership Agreement (VPA): illegal logging and forest cover change through non-forest investments”. 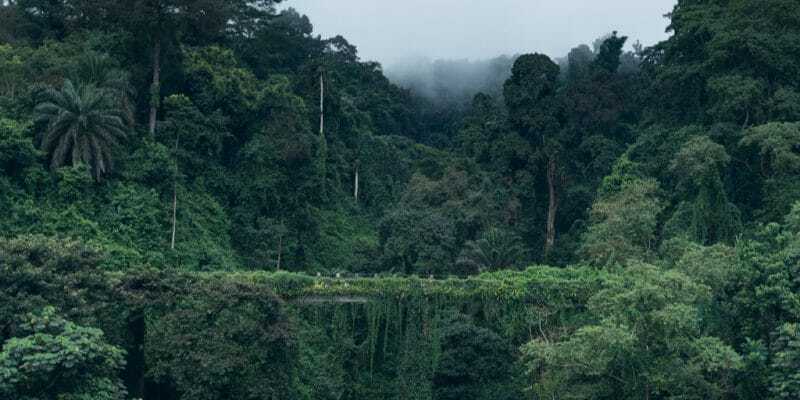 Its aims to reduce the risks of illegal logging through agro-industrial, mining and infrastructure investments in the four countries sharing the forest ecosystems of the Congo Basin, namely Gabon, Cameroon, Congo and the Democratic Republic of Congo (DRC). The programme is normally scheduled to be completed by 2019. The fight against poaching is part of several programmes to protect biodiversity in the forests of the Congo Basin. For this reason, the European Union indicated that part of the grants awarded was intended for the Virunga National Park in Eastern DRC. A large population of gorillas, a species of great apes, live in this park. But, as a result of poaching and conflicts between armed groups in Eastern DRC, these animals are endangered. The elephant is the other endangered specie. These pachyderms are slaughtered for their ivory which is smuggled from the park. In an attempt to solve this problem, the Alliance Virunga organization is focusing on sustainable development. Specifically, it seeks to promote access to electricity for 4 million people living in communities around the 7,800 square kilometres park. The organisation also intends to tackle the charcoal trade, which is the main source of funding for some armed groups flourishing in the region. It should be noted that the Sangha Trinational Park is one of the European Union’s priorities. It is a vast natural area of 7,460 square kilometres, listed as a World Heritage Site. It includes three national parks: Lobéké National Park in Cameroon, Nouabalé-Ndoki National Park in Congo and Dzanga-Ndoki National Park in the Central African Republic.